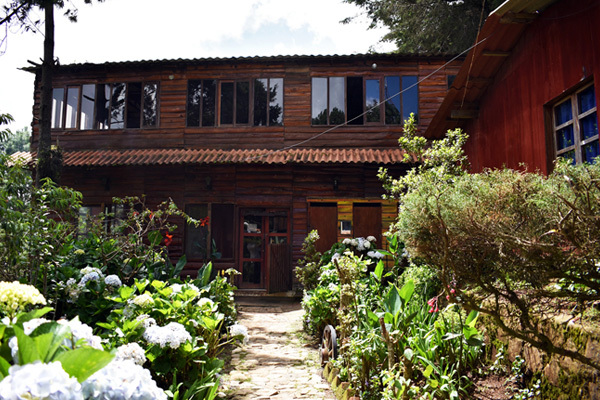 Hostal Miramundo, began operations approximately in 1996 as a country home for family use, with 6 rooms of wood and old house built of wood and adobe and tile, which served to make the stay of their guests, an experience out of series. For the groups that arrived to realize outdoor camping there was a grill that served to make the foods or to warm water for the coffee. Historically, Hostal Miramundo, is distinguished by having spectacular views and cool climate; the familiar and cozy atmosphere of this place have managed to reach an increase in the tourist demand in the upper area of Chalatenango. Our experience over 16 years has done that every day we win the trust and recognition of our customers while maintaining the warmth of home and the high standards that characterize us. 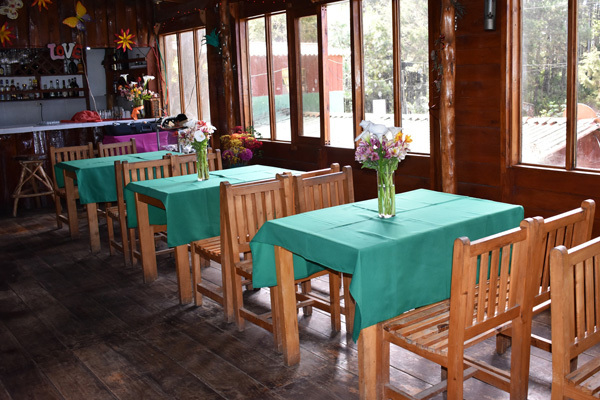 At present, we have 8 family rooms and three cabins, four restaurant areas , three multipurpose rooms, bar with international drinks, a menu with wide range of national and international dishes. we have an outdoor area with tables Wood and hammocks under the pine and cypress trees, gardens, flowers typical of the upper zone, including: hydrangeas, cartridges, azaleas, etc. 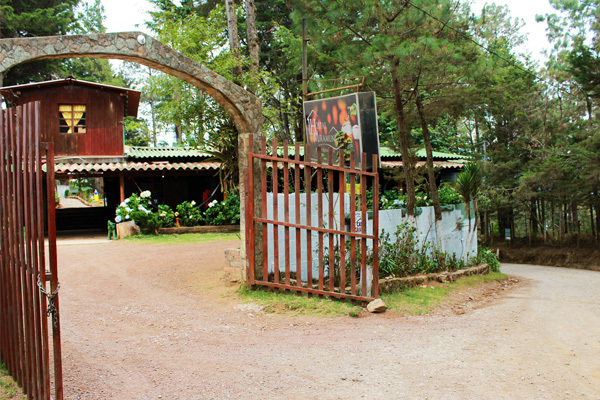 If you like adventure and to know spectacular places, where you can fully enjoy the beauty of our country Hostal Miramundo is the ideal place to live a fabulous experience away from the noise of the capital city, close to nature, just 2 hours from San Salvador where you can breathe fresh air, on one of the highest hills of the Chalatenango mountains about 2450m/MASL and only 9 kms. northeast from La Palma. Hostal Miramundo, In addition to finding a deliciously cool weather, will delight, feeling the pleasant smell emanating from the thousands of conifers that are planted throughout the area, with an average temperature of 12° C / 38° F during the day and 4° C / 34° F, during the night. Hostal Miramundo, expect you with a breathtaking view of much of El Salvador, where you can admire the Izalco and San Salvador volcano and the city of Santa Ana and Cerro El Trifinio. Similarly you can witness spectacular sunsets and at nightfall feel the mist descends on the mountain, the birdsong waking you up and much more, which will make your stay at Hostal Miramundo an unforgettable experience. To be leaders in mountain tourism and provide our clients with quality services, comfort and recreation. 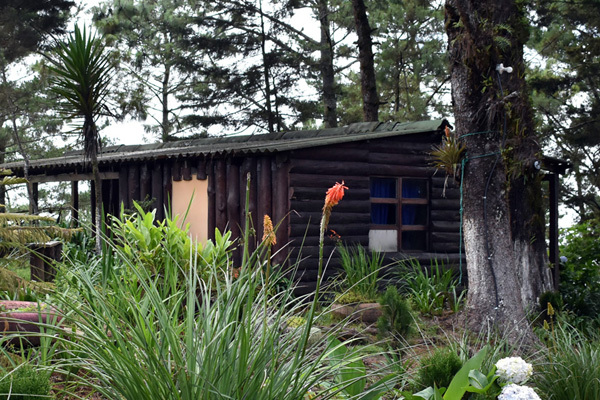 To promote ecotourism in the upper zone of Chalatenango, providing reliable, ethical and personalized services to ensure customer satisfaction.